Agra Fort, a UNESCO World Heritage site, also known as Lal Qila or Fort Rouge, is a walled complex inside Agra city. It was built by Akbar on a 94-acre semi-circular plot and consists of red sandstone structures that served as residential palaces and military buildings. Its location has provided strategic military advantages. Subsequent rulers added white marble structures. The Red Fort has four gates, of which one opens towards the Yamuna River. Agra Fort houses famous buildings such as the Sheesh Mahal, the palace of mirrors, Diwan-i-Aam, the hall of public audience, Diwan—i-Khaas, the hall of private audience for dignitaries, and the lush gardens of Anguri Bagh. Agra Fort hosts a Light and Sound show in the evenings. 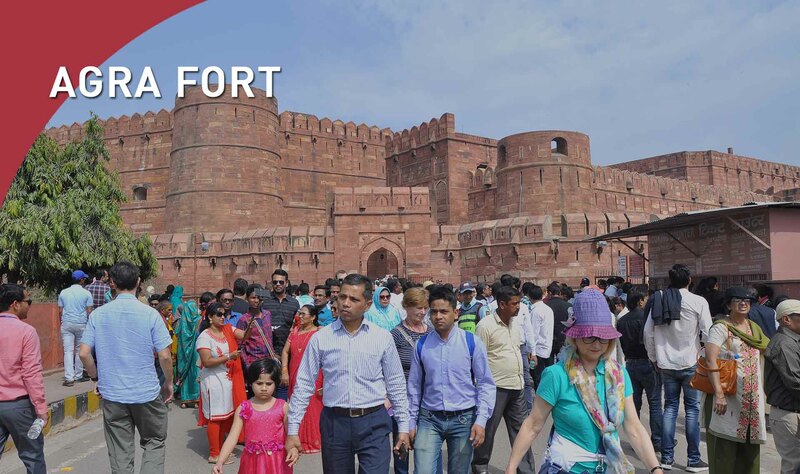 Visit the official Agra Fort website for more details.